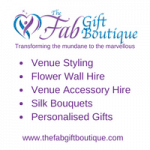 Jo mentioned that they were going to the dragon boat racing at Coate Water so I said a guest post about would be fab. So here it is! 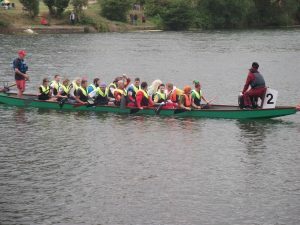 http://www.swindondragonboat.org.uk And there’s even a British Dragon Boat Racing Association. Of course there is! I have to say it sounds like super fun. And gambling with ice-creams surely gives it an edge? And I’d no idea it had such a rich history. Interesting stuff. Thanks Jo for this – fascinating. Dragon Boat Racing was entirely new to our family, you can call us very sheltered! We saw the event advertised in Swindon, so we thought we’d pop along. This was part of our tech free Sundays – all in the name really! Every Sunday we now endeavour to find something to do that doesn’t involve tech. Dragon Boat Racing achieved this small aim! As you would imagine, it is Chinese in origins, what with the dragons and all, and dates back more than 2000 years. Superstitious Chinese villagers celebrated the 5th day of the 5th lunar month of the Chinese calendar, by racing. Racing was seen to avert misfortune and encourage the rains, which were needed for prosperity. The Dragon, in China is traditionally a symbol of water, ruling the rivers, seas and clouds. In the 19th century European nations such as Britain and France used military power to control territory and economic privileges, in China. Of course they saw Dragon boat racing as corruptive, leading to gambling and fighting. 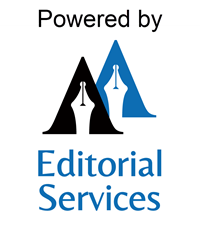 They sought to suppress it, but dragon boat racing continued to be widely practiced. Reformers looked to grow Dragon Boat racing, with a view to making it a national sport, and real progress was made from the 1920s to 50s. Then communism hit, and the government decided it represented old feudal customs and banned it in the early 1960s. Around 1976, British controlled Hong Kong, began to develop dragon boat racing as a sport. Used primarily to encourage tourism, over the next 10 years, other locations around the world began holding specific festivals in the Hong Kong style. As the races grew in popularity, several national associations developed, and in 1991 the International Dragon Boat Federation (IDBF)was established in Hong Kong. The IDBF has since published by-laws, rules & regulations with full technical specifications for the sport, which is now practiced in over 60 countries worldwide. Dragon boat racing is one of the world’s fastest growing water sports, and is used extensively as a way of raising funds for charity organisations in the UK. Hence the Rotary Club of Swindon Phoenix Dragon Boat Racing Day held in June each year. This one day charity event is now in its fifth year, held at Coate Water Country Park in Swindon, the day involves 15 teams. Every team has 16 members paddling and 1 drummer – ehh drumming! The team choose a charity to sponsor, having raised £25 to enter the race. The first heats involve two teams against one another, and so they race through three heats until the finals. The winner receives a very funky dragon trophy. However we felt that the trophy was just a sideline to the fun and mayhem of the day. 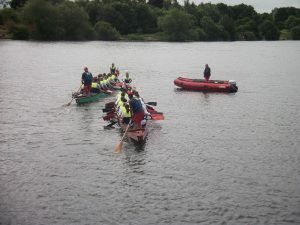 Once the team are in the narrow boat (they’re about 12m long) and settled, it’s down to the co-ordination of paddling. The better co-ordinated you are with each other the faster you’ll go. You would think that was obvious, but when there are 16 of you, and in some cases the drummer thinks he’s Dave Grohl, you get the picture. As the team Disney Wannabees (dressed as Disney characters) demonstrated. We were treated to the Mad Hatter drumming, and Alice in Wonderland with a beard rowing. We could be scarred for life!! Both boats row to the end of the lake, nearest the diving platform (long since closed). They turn, as best they can without hitting one another, to face the finish line. As we say, always a good start. Our starter chap, is balancing in a dingy, which is anchored by a sledgehammer! When he’s happy both boats are facing the right direction, and are level, he’ll sound the horn and off they go. Paddling like the clappers, drumming like Iron Maiden, steering down the lake towards the chequered flag, the teams are massively competitive. Racing started at 10am and the finals were held at 3.30. It’s a good full day out if you find a team you want to follow from start to end, or even if you just pitch up with a picnic. 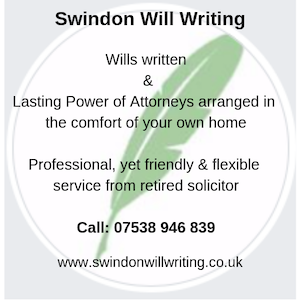 To give you a further feel for the day, here’s a YouTube video made by Richard Symonds, of the 2014 Swindon Dragon Boat Race. 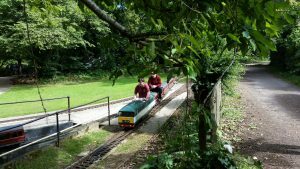 The Rotary Club of Swindon Phoenix, had opened up the other side of the lake (the side with the miniature railway and play park) to additional entertainment. Here they had several charity stalls, tombolas, obligatory tea cup ride and several food outlets, including Arkells Beer wagon (perhaps not at 11am?!). We felt for them in the mizzly rain, after the previous scorcher of a weekend. Yet there were plenty of people about – we even queued for the hook a duck. As a day out, Dragon Boat Racing in Swindon is a great event, and you could definitely make a day of it. As a seafaring family, it introduced us to another water sport. So who knows, 4 Points Leisure may yet take to the waves. Until next time, have fun whatever you’re upto #getoutside.